31, July 2012 on the information Web-site Publicity (www.publicity.kiev.ua) an expert Internet-conference on "Personal PR Studio: how to create the image of expert and leader?" was held. 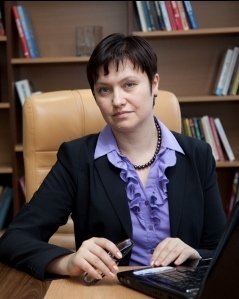 Ruslana Plis, Publicity Creating managing partner answered the Internet user’s questions. 31, July 2012 on the information Web-site Publicity (www.publicity.kiev.ua ) an expert Internet-conference on "Personal PR Studio: how to create the image of expert and leader?" was held. Ruslana Plis, managing partner of the strategic communications Company Publicity Creating answered the Internet user’s questions. During the Internet conference Expert answered the 26 questions from Internet users on the page of Web conference and official page of Publicity on Facebook. Mostly, the questions related to the new direction of Publicity Creating Company - Personal PR Studio and personal PR like a tool: its purpose, objects of promotion, circumstances of its use, etc. Ruslana, please tell about situations in which personal PR is particularly necessary? And what are the benefits received from it the "object"? Thank you! R. Plis: Speaking globally, everybody needs in personal PR. But there are some areas that need it at first. Politics are needs it understandable, but there are a many areas where it is compulsory (if you want to achieve a real success.) Firstly, it concerns creative professions: for example, designers, artists, journalists, etc. Secondly, professions, which based on a trust to a person: doctors, counselors, lawyers, coaches, public relations specialists. In these areas the service is inseparable from the person who provides this service. This is a very personalized activity. Third, Personal PR is necessary for owners and TOP-managers of various business establishments. It adds a good reputation for their companies. How personal PR can be used in regions, for example in the context of elections to the local authorities? Plis R.: The question is very actually. The answer is obvious - a personal PR significantly impacts on such things, especially in the regions. It's no secret that many people are requests to local leaders, famous and respected people, and parties before the elections with various proposals. However, by the new law on elections, one can go on elections independently, out of party lists, and in case of victory, already being in the local authority, have a negotiate with the parties for possible cooperation. I mean that the tactics are may be different. But the creating of personal image and reputation is a strategic task, and it’s never too late to start here. In fact, one should promote himself not before the elections, but between elections. Then to the time "B" candidate has come out fully prepared. In general, I like to speak with people in regions - it's just a storehouse of interesting, active and wise people who deserve to be in country power and can really change something for the better. In every district center live a person, who can be promoted. As I understood this service is intended for owners and TOP managers. And how the personal PR service could help a leading specialist PR? Financial analyst for example. R. Plis: Yes. Senior staff, particularly in narrow areas of activity, too, must have a personal PR. In this case, first of all, we have to work on the reputation of the markets Expert. And to increase the level of the Expert popularity - first in their own community, and then in the wider area community (for example, in the business community). What kinds of activities do you use in the personal promotion? R. Plis: Depending on the "type" of person and aims, we can use different tools and activities. For example, participating in press events, industry events, comments on current issues ... And also personal blogging and activities in social networks. Also participating in a photo session. The video comments are also very effective. The entire complex should be planned beforehand and leads to the achievement of the aim. My manager wants to become more recognizable in his business community. What are the first steps needs to be done? What personal characteristics for personal promotion" is needs? Tell me please, how many people will be involved in the project in the case of TOP manager of large Company and large-scale PR-campaign? How many time and money may be needed to achieve a significant result: the credibility of the TOP-manager in the context of whole market. R. Plis: The team may consist of 3-5 people. The number of time and money is depending on the task. More details can be discussed at the meeting. During the Internet conference in microblog of information Web-site Publicity @ publicitykiev on Twitter and on the official page in Facebook were broadcasted online reports, so the audience has expanded to 7,000 observers.